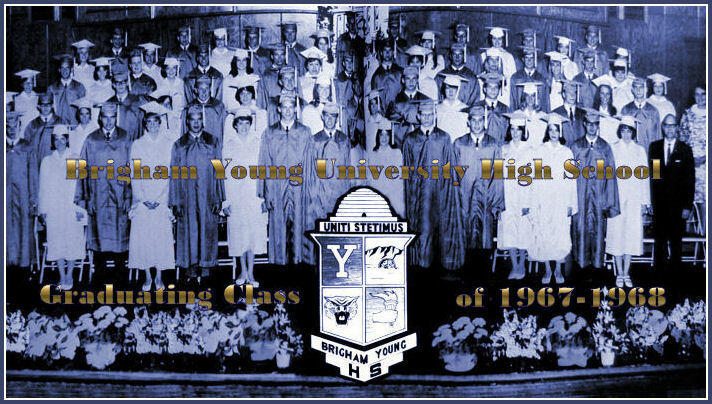 Several years ago, we tried to find a list of all high school graduates of Brigham Young Academy [1877 to 1903] and Brigham Young University High School graduates [1904 to 1968], and we were astonished to find that no such list has ever been compiled. With some research and today's Internet technology, we believed that this list should exist. It has become one of our major goals is to document the class members of each one of the 105 classes of Brigham Young Academy high school and Brigham Young University High School, and to post this information on this website. Up through October 2011, we had found substantial information about all 105 classes. Some background: Our earliest sources of information are early Utah newspapers and Brigham Young yearbooks. We also found a few graduation programs. During 2007 we had been trying to find people who were willing to do research in BYU Special Collections. We contacted BYU, and were delighted when Scott W. Cowley, then Assistant Information Manager of the University Communications department, with permission from Todd Hollingshead, Information Manager of University Communications, accepted the challenge. Scott Cowley found key records in the BYU Records Office, and helped us to obtain permission from Jeff Bunker, University Registrar, to research these original Brigham Young Academy and BYU documents. As a result of Scott Cowley's painstaking work, on July 3, 2007, we received documented lists of both high school and collegiate graduates of BYA for 18 classes. The researched classes are: 1891 Normals, 1893, 1894, 1895, 1896, 1897 (collegiate), 1898, 1900, 1901, 1902, 1903, 1904, 1905, 1906, 1907, 1908, 1909, and 1910. Of the 105 classes from 1876 to 1968 and honorary classes through 1980, we were left with only the ten classes without complete listings: the Brigham Young Academy high school classes of 1880, 1890, 1891 Commercials, 1892, 1897, 1898, 1899, and 1900, and the Brigham Young High School classes of 1924 and 1927. In those classes, we have significant partial lists. Scott Cowley, although he by then had become a full-time student at BYU, volunteered to continue adding to his earlier research in original BYU/BYH documents, this time researching the years from 1911 to 1935. In April of 2008, he delivered research covering various BYH classes between 1891 and 1926, and BYU classes up through 1935. This left only a few partial classes. We honor Scott Cowley and express our gratitude to him for undertaking and completing this long and painstaking project, completely as a non-paid volunteer. And now we can focus significant research efforts on the few remaining classes that are not complete. In 2008, Larry Christensen finished adding all of Scott's research to the BYA ~ BYH Directory on-line. Scott's research also provided the names and degrees of the earliest Brigham Young University graduates beginning in 1903 and extending through 1935, and because so many of them were also BYH grads, those names have also been added to the Directory. Larry Christensen has been comparing incoming graduation programs with lists that he compiled earlier. He has also found some lists from early Utah newspapers. Improvements are made on a daily basis. In an exciting development, Steven M. Law, librarian at Provo City Library at Academy Square, located four missing BYH classes: 1928, 1930, 1931 and 1932. These new lists can be found here. We continue to seek alumni and friends, particularly those living in the Provo area, who have an interest in helping to locate any missing names in our classes. None of the 105 classes are absolutely "complete" -- additional corrections will always need to be made. 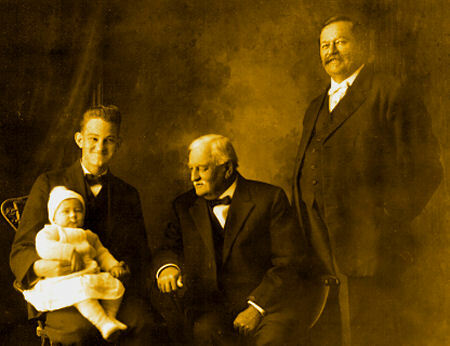 Research can be done in Provo in BYU Special Collections, in the BYU Family History Library, in the Provo City Library at Academy Square, or anywhere with new research tools, such as the Utah Digital Newspapers website. GOAL: Our goal is to find the full name, graduation year, type of certificates earned -- if mentioned -- and hopefully some additional identifying information about each graduate of Brigham Young Academy, whether at the high school level or at the collegiate level. It would be wonderful to discover lists of class officers for each senior class. CERTIFICATES / DIPLOMAS: When lists are found, they often mention certificates, or proficiency awards, by which they usually meant diplomas of various types. Some students graduated from high school in two different classes, earning different awards or certificates in each year. It is our goal to document all of these accomplishments. RESEARCH: Research typically involves finding lists and making a photocopy of each relevant list. 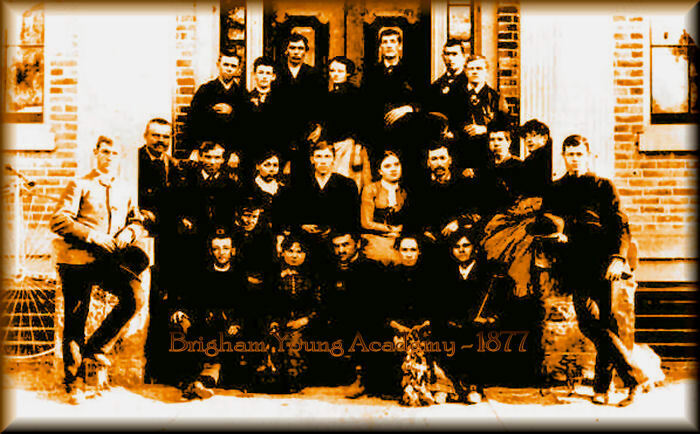 HISTORICAL BACKGROUND: From 1876 to 1903, most Brigham Young Academy graduates were high school students. When closing exercises were held in May or June of each year, the large secondary graduating classes received high-school-level diplomas and certificates of efficiency, including Normal [teacher prep] diplomas, Commercial diplomas, etc. Collegiate diplomas were a a rarity. THIRD YEARS: In 1891, for the first time, BYA students preparing for the teaching profession -- the "Normals" -- were required to take four years of course work to complete the Bachelor of Pedagogy (B.Pd.) and Bachelor of Didactics (D.B.) degrees. This involved three years in the high school program, followed by one year of college-level Normal courses. BYA high school seniors were called "Third Years". In 1896, BYA formally organized a Collegiate Department, and from 1897 to 1903, a small number of bachelors degrees were awarded, although they were not awarded every year. These bachelors degrees received the lion's share of attention in the local newspapers, while the large numbers of high school graduates -- 75 to 175 each year -- were almost ignored by history. FOURTH YEARS: Beginning in 1896, BYA announced that work toward a B.Pd. or D.B. degree would require six years of study. This meant four years of high school courses, and two years of college-level Normal work. BYA high school seniors were now called "Fourth Years" -- and once again, their names and their place in history have almost been misplaced and forgotten. INCLUDES HIGH SCHOOL & COLLEGIATE STUDENTS: Our primary focus in this project is on the often-forgotten BYA high school senior classes. In the past, BYU has deliberately not compiled lists of the large numbers of historic Brigham Young Academy high school graduates. In addition to high school senior class members, we track the relatively small number of BYA students who received collegiate degrees between 1881 and 1903, in order to avoid confusing the two groups, and also because some collegians were BYA high school graduates first. If the degree is a bachelor's degree, or is called "collegiate", it is considered Collegiate; if the diploma, award or certificate is anything else (except Preparatory School, Kindergarten or Eighth Grade), it is listed here as a High School diploma. WATERSHED YEAR: In 1903, with the permission of the BYA Board of Trustees and the LDS Church, Brigham Young Academy was formally dissolved, and was replaced by two new successor organizations: Brigham Young High School and Brigham Young University. The following inventory of the BYA ~ BYH Website Alumni Directory is currently incomplete. 1936 Yes 1936 Wildcat yearbook found! 1903 Yes Scott Cowley/BYU Research List of High School Commercial Graduates only. 1902 Yes Scott Cowley/BYU Research List of High School Commercial Graduates only. 1897 Yes Scott Cowley/BYU Research Odd program - Names may be hidden in program A few names in newspaper. 1896 Yes Scott Cowley/BYU Research 1896. Names in 1896 Newspaper Article. 1895 Yes Scott Cowley/BYU Research Need Graduation Program Names in Two 1895 Newspaper Articles.